Tweed Kimono Just $18.99! Down From $45! FREE Shipping! TODAY ONLY! Hurry over to Jane where you can score this Kathryn Tweed Kimono for just $18.99 down from $44.99 PLUS FREE shipping! We are so excited about this new Kathryn Tweed Kimono! This kimono features a gorgeous plaid threaded design complete with fringe along the hem and a hood! It is so comfortable you’re sure to find a way to wear it all season long! Available in a variety of colors, it is a great over piece to layer with your favorite jeans or leggings! Tropical Print Kimonos Just $18.99! Down From $40! Shipped! 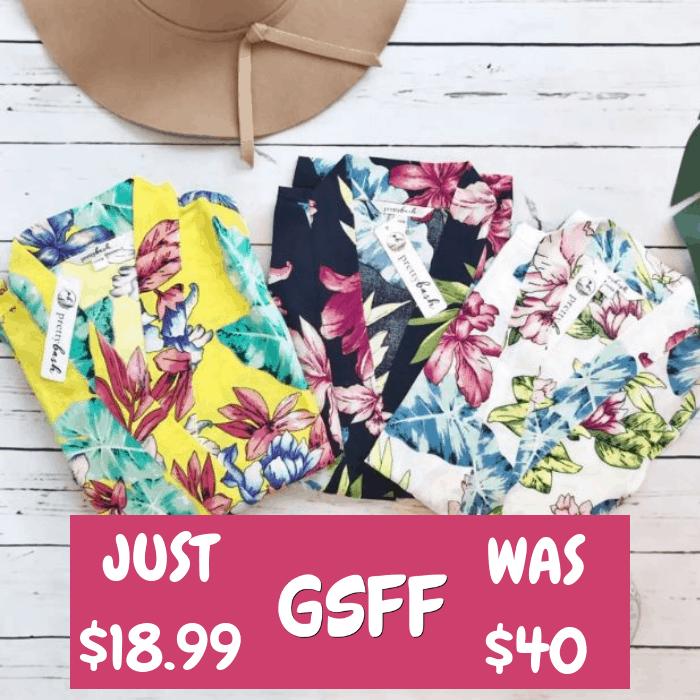 At Jane, you can score these Tropical Print Kimonos for just $18.99 down from $40 PLUS FREE shipping! Lounge in comfort & style in these Tropical Print Robes. So many beautiful prints & colors to choose from! 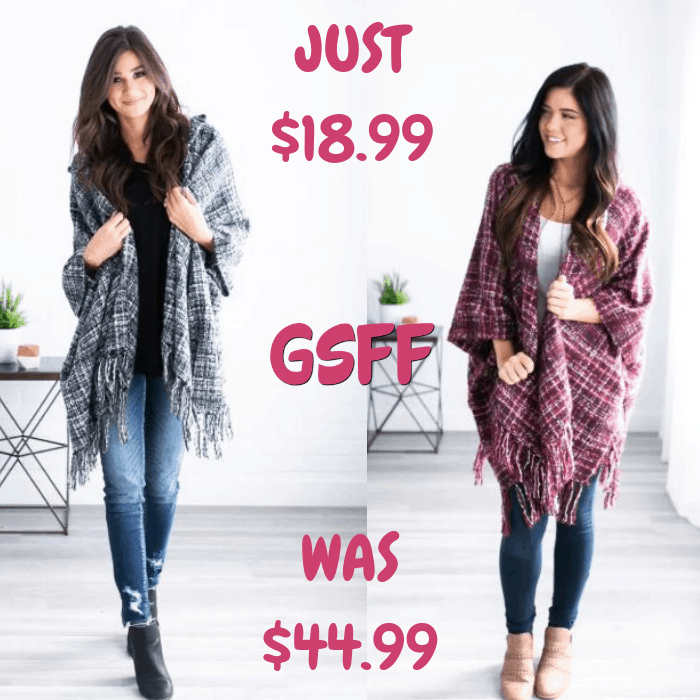 40% Off Winter Kimonos & Ponchos! PLUS FREE Shipping! For a limited time only! 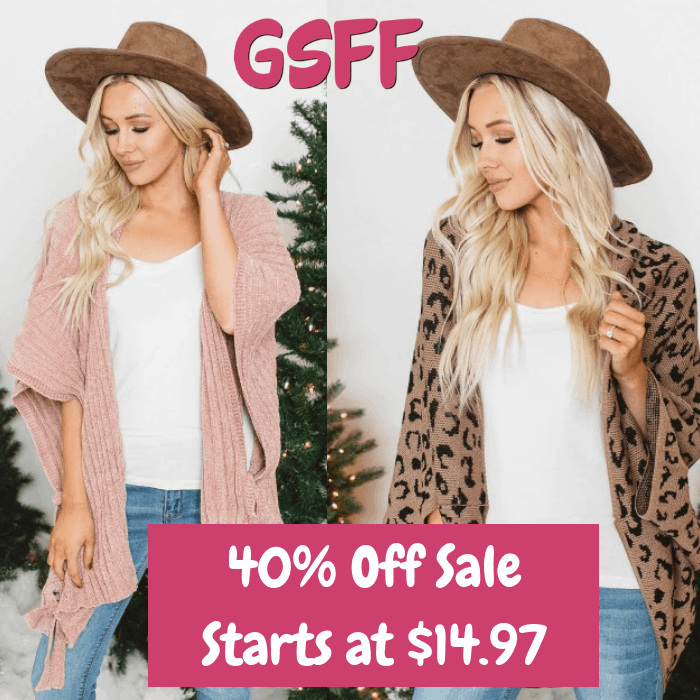 Cents Of Style is offering 40% Off their Winter Kimonos & Ponchos when you use promo code PONCHOS at checkout! As an idea, you can score one for as low as $14.97! PLUS, it’s FREE shipping!